After President Obama unveils the nitty-gritty of his sweeping, state-by-state plan to fight climate change, no one doubts Texas will sue. But some who will bear the brunt of complying with the new regulations are calling that knee-jerk reaction shortsighted. President Obama is set to unveil a seemingly stricter final version of his sweeping, state-by-state plan to fight climate change Monday — his most determined effort yet to tackle the effects of global warming by reshaping the nation’s power sector. When he does, no one doubts that Texas will sue. Taking the federal government to court over environmental regulations has been a palpable source of pride and political capital for Gov. Greg Abbott, who filed dozens of lawsuits against the U.S. Environmental Protection Agency as attorney general. Both he and his successor, Ken Paxton, have promised the same approach with the so-called Clean Power Plan, which seeks to drastically cut planet-warming carbon emissions from the nation's power plants. But some of those who will bear the brunt of complying with the new regulations are calling that knee-jerk reaction shortsighted. Several Texas electric utilities are joining environmentalists in hoping policymakers — after securing another campaign trail talking point — eventually will craft a strategy to meet the new requirements to avoid being slapped with a mystery plan devised by the EPA and to bolster regulatory certainty. “I think it’s always better for the state to participate in the plan rather than having the feds do the plan and tell you how it’s going to be,” said John Fainter, president and CEO of the Association of Electric Companies of Texas, referencing a similar situation in 2013 involving greenhouse gas permits. “So I hope when the litigation is concluded that there’s time and willingness to do so." The new federal regulations seek to drastically cut carbon emissions from the nation’s existing power plants – 32 percent from 2005 levels by 2030 under the final version of the plan. That’s 2 percent higher than what was proposed in a draft plan unveiled last year, but federal regulators also opted to give states more time to comply while incentivizing those that respond more swiftly. The primary target of the new protocols: the nation’s more than 600 coal-fired power plants, the largest source of greenhouse gas emissions. 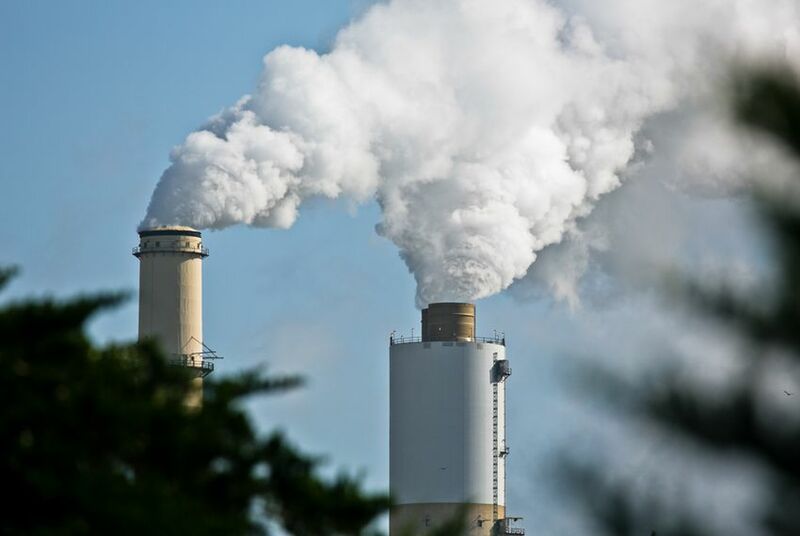 Rather than issuing a blanket regulation, however, federal regulators are offering states a variety of options to reach their assigned pollution reduction targets — making coal plants more efficient, for example or switching to cleaner-burning natural gas. States also will have the option to expand their wind and solar portfolios or adopt a "cap and trade" program, a scheme in which companies bid on the right to pollute. The final plan gives states more flexibility in designing and implementing their compliance strategies, according to the EPA. To make the process easier, they will have the option of teaming up to craft multi-state compliance plans. Under the preliminary plan, Texas — home to about 20 operational coal-fired power plants — would have to slash roughly 200 billion pounds of carbon dioxide emissions in the next two decades. The state's revised target is less stringent, according to the EPA. "There never have been limits on how much carbon power plants can emit into the air," Obama said Monday. "For the sake of the planet, that has to change." The plan already has drawn one lawsuit from more than a dozen coal-dependent states. But a federal appeals court dismissed the challenge in June, concluding it was premature since the EPA had yet to finalize the rule. While not part of that early lawsuit, the Texas attorney general’s office has spent $24,000 devising another that it has yet to file, according to information obtained by the Tribune under a public records request. Initially, states were to submit plans by next year detailing how they would reach compliance with the new standards by 2020. States still will have to submit preliminary compliance plans by September 2016 under the final version of the regulations, but they also will be able to request two-year extensions to submit a definitive strategy. And they will have two additional years – until 2022 – to comply. With those deadline extensions, Fainter said it makes even less sense for Texas not to come up with its own plan. Others agree. “It seems logical that they would want to avail themselves of this time to develop a solution which addresses the individual and unique situation of each state,” said Brett Kerr, a spokesman and lobbyist for Calpine, the largest independent power producer in the nation. But that message may not resonate in Texas and other red states where blasting the federal government is a popular pastime. In March, U.S. Senate Majority Leader Mitch McConnell sent a letter to all U.S. governors urging them not to play along with the new climate change rules. Governors in at least three states – Wisconsin, Indiana and Oklahoma – have explicitly said they will refuse to comply with the plan unless the final regulations look radically different from the initial proposal. Several other Republican executives — including Abbott — have blasted the proposal without formally committing to the just-say-no strategy. Abbott’s press office did not respond to requests for comment for this story, while Paxton declined to comment through a spokeswoman. In June, Paxton called the looming rules part of Obama’s “war on coal and fossil fuels” during a keynote address at an anti-Clean Power Plan event hosted by the Texas Public Policy Foundation. Last month, the foundation — an influential think tank that champions conservative policies — announced a push to form an interstate compact to oppose the plan, an alliance that would require legislative approval before a state could join. Amid opposition from utilities, bills that would have directed Texas to adopt a compliance plan died earlier this year during the legislative session that ended June 1. The utilities association asked state lawmakers not to issue any plan-related mandates or prohibitions “because we didn’t know what we were going to see and chances are pretty good that if the Legislature had done something along those lines it would’ve probably been wrong,” Fainter said, adding that some association members are on board with the plan and prepared to comply while others are not. “We’re just not in a one-size fits all environment,” he said. Non-coal dependent utilities like Calpine that are better positioned to comply with the plan are far more comfortable in calling on Texas to play ball post-lawsuit. Utilities including NRG and Luminant declined to comment for this story. Large municipal utilities in the Austin, San Antonio and El Paso areas have already taken major steps toward reducing greenhouse gas emissions. “We were already moving towards renewables before all the proposed plans were in place,” said Eddie Gutierrez, a spokesman for El Paso Electric Company, which is set to be coal-free by 2016. Meanwhile, environmentalists point to data showing that Texas — the nation’s No. 1 wind energy producer — is well on its way to compliance as it is. "Texas is already on track to achieve about 65 to 70 percent of the reductions that will be required under the Clean Power Plan,” said John Hall, Texas director for the Environmental Defense Fund's clean energy program. Hall, who said the group plans to publish its analyses soon after Obama’s announcement, also emphasized that Texas — as a huge producer of natural gas — will benefit economically from the new regulations as other states seek that cleaner-burning fuel as part of their own compliance plans. “Our economic interests are aligned with the Clean Power Plan," said Michael Webber, deputy director of the Energy Institute at the University of Texas at Austin. "And the fact that we’re suing anyway, I think, is a sign of the ideological depths by which we operate in this state." A recent report Calpine co-commissioned — touted by Obama on Twitter — found that carbon dioxide emissions nationwide decreased 12 percent from 2008 through 2013 even as the economy grew, noted Kerr of Calpine. Throughout the Clean Power Plan debate, environmental and public health advocates have argued that the regulations not only would help combat climate change, but bolster public health and conserve water in parched Texas. They also suggest that plan opponents are exaggerating the economic burdens. “We think that Texas is well-positioned to comply with the plan and if you’re well-positioned to comply with a federal law, it just doesn’t make a lot of sense to go down a path that’s going to be expensive and unfortunate for everyone involved,” said Chrissy Mann, a senior Texas campaign representative with the Sierra Club’s Beyond Coal Campaign. Jim Malewitz and Neena Satija contributed to this report. Disclosure: The Association of Electric Companies of Texas, the Texas Public Policy Foundation, NRG, El Paso Electric and the University of Texas at Austin are corporate sponsors of The Texas Tribune. The Sierra Club was a sponsor in 2011. A complete list of Tribune donors and sponsors can be viewed here.